People often think of diamond cut as shape. Round is the shape used in most diamond jewelry. All other shapes are known as fancy shapes. Traditional fancy shapes include the marquise, pear, oval and rectangle. Hearts, triangles and a variety of others are also gaining popularity in diamond jewelry. As a value factor, though, cut refers to a diamond’s proportions, symmetry and polish. For example, look at a side view of the standard round brilliant. The major components, from top to bottom, are the crown, girdle and pavilion. A round brilliant cut diamond has 57 or 58 facets, the 58th being a tiny flat facet at the bottom of the pavilion that’s known as the culet. The large, flat facet on the top is the table. The proportions of a diamond refer to the relationships between table size, crown angle and pavilion depth. A wide range of proportion combinations are possible, and these ultimately affect the stone’s interaction with light. Because diamonds formed deep within the earth, under extreme heat and pressure, they often contain unique birthmarks, either internal (inclusions) or external (blemishes).Diamond clarity refers to the absence of these inclusions and blemishes. Diamonds without these birthmarks are rare, and rarity affects a diamond’s value. Using the GIA International Diamond Grading System™, diamonds are assigned a clarity grade that ranges from flawless (FL) to diamonds with obvious inclusions (I3).Every diamond is unique. None is absolutely perfect under 10× magnification, though some come close. Known as Flawless diamonds, these are exceptionally rare. Most jewelers have never even seen one. The GIA Clarity Scale contains 11 grades, with most diamonds falling into the VS (very slightly included) or SI (slightly included) categories. In determining a clarity grade, the GIA system considers the size, nature, position, color or relief, and quantity of clarity characteristics visible under 10× magnification. Diamond color is all about what you can’t see. Diamonds are valued by how closely they approach colorlessness – the less color, the higher their value. (The exception to this is fancy color diamonds, such as pinks and blues, which lie outside this color range.) Most diamonds found in jewelry stores run from colorless to near-colorless, with slight hints of yellow or brown. GIA’s color-grading scale for diamonds is the industry standard. The scale begins with the letter D, representing colorless, and continues with increasing presence of color to the letter Z, or light yellow or brown. Each letter grade has a clearly defined range of color appearance. Diamonds are color-graded by comparing them to stones of known color under controlled lighting and precise viewing conditions. Many of these color distinctions are so subtle as to be invisible to the untrained eye. But these slight differences make a very big difference in diamond quality and price. Gold jewellery never goes out of style, and for good reason. Gold can be worked into nearly any shape, including tiny strands that do not break easily. It is a beautiful yellow metal that can be alloyed with other metals to produce Red, Green, or White gold for jewellery making purposes. One ounce of gold can be hammered into an ultra thin sheet that's ten feet square. Gold can be manipulated in any way the artisan desires. Chances are the ring on your finger is marked 18K, 14K, or 10K, with the K standing for karat, the system used to describe the percentage of pure gold an item contains. The higher the karat number, the higher the percentage of gold in your gold jewellery. Platinum is a rare precious metal that's used to create fine jewellery. Its heavy weight and durability make platinum a metal that will not wear away with constant use. Platinum holds fine gemstones firmly in place for the life of the jewellery when used as prongs and other setting components. Sterling Silver is a very popular silver mixture. Pure silver by itself is very soft, too soft to create durable jewellery, so it is often mixed with other metals like copper to enhance performance. Copper makes the silver harder, but gives it a tendency to tarnish, a darkening that occurs when sterling silver reacts with gases in the air or with other substances that it comes in contact with. 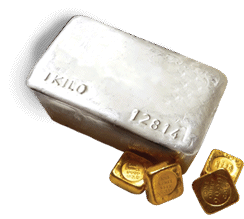 Rhodium is a rare, silvery-white, very hard, member of the platinum group of precious metals. Because it is brittle and very difficult to work with it is not considered a feasible material to make solid jewelry from. Rhodium is remarkable though as a plating for jewellery because it is both scratch and tarnish resistant. It is also highly valued for its white, mirror-like quality which enhances any diamonds scintillation and colour. Because its price is very volatile (often 5 to 10 times as costly as gold) it is not always applied to commercial jewellery.